Food Judgments . . . . Living with diabetes, I often feel like others constantly judge what I’m eating. Since they often don’t understand diabetes beyond the many misconceptions out there, when they judge me I probably score pretty low. A few weeks ago, Pete and I had lunch out with a friend. We were just finishing up when I noticed two women at the next table staring at me. I figured I was just being paranoid, as I tend to do, but every time I looked up they were both looking over at me. “Hey, the ladies at that table are staring at me.” I whispered. What a great feeling to have someone judge what I’m eating and throw me some high scores for once!!! I’m so used to being criticized by the Diabetes Food Police that I was shocked when they complimented me on my food choice. Of course, I did feel I needed to come clean about what we actually ate for lunch. I let them know that the three of us shared an order of fried calamari, some mini-sliders, and a spinach and artichoke dip. They hadn’t seen me eating any of that, just the last carrot stick that had been served with the dip. I hope my confession made them feel better about indulging in some dessert. Because as someone who has often had strangers try to heap on the guilt over my food choices, I’d hate to make someone else feel guilty about what they’re eating. I live in Connecticut. I was born and raised here and have been here all of my life, aside from four years in college near Boston. It’s so heartbreaking when an unthinkable tragedy happens. When the nation turns it’s eyes to a tragedy that feels like it happened in your own backyard it’s even more surreal. I have driven through Newtown countless times over the years. I drove through Newtown just a few weeks ago when I went to meet up with Kate. My friends have family members and friends who survived and who were lost in the events at Sandy Hook. Today I reflect on the innocent children and brave adults who were lost on Friday. And on the families who must find a way to go on without them. I Shouldn’t Be Here . . . . . This month marks a pretty big milestone for me. I was diagnosed with Type 1 in December of 1979, and although we don’t know the exact day I’m pretty sure it was more towards the beginning of the month. (I spent a week in the hospital, and I don’t remember any Christmas stuff happening so I think it was well before the end of the month). So I’ve been marking the occasion toward mid-December each year . . . . . and here we are, smack in the middle of December. This year my diaversary is a biggie. I was 11 years old when I was diagnosed. That was 33 years ago. So I have lived with diabetes for 3/4s of my life. That feels like a very very long time. I’ve been struggling with a major case of writer’s block for about a week . . . . not just when trying to write about my diaversary but while trying to write about anything at all. And I realize I’ve been struggling with the thoughts and emotions surrounding this diaversary for at least a month now. Because honestly, when I think about having survived diabetes for 3/4s of my life, one phrase keeps echoing through my head . . . . I shouldn’t be here. I guess that must sound pretty morbid. But I can vividly remember laying awake many a night during my late teens counting up how many years I had left to my life. Ten . . . maybe fifteen . . . . but surely the last few would be filled with all of those terrible complications that had been drilled into my head over the years. I had watched my aunt become sicker and sicker and eventually die from diabetes complications, and I thought it was a preview of my own unavoidable fate. I’d be lucky to make it into my 30s. I’d never see my 40s. But here I am. Forty-four years old and complication free. Every time I think about being complication free a weird wave of guilt washes over me. It comes from knowing that for so many years I ignored my diabetes management almost entirely and knowing that many who worked much harder and have lived with diabetes for a much shorter time have developed the complications I’ve somehow managed to avoid. Why them and why not me? Genetics, environment, or just dumb luck? Who knows. Thirty-three years. 3/4s of my life. All with Type 1 diabetes. I’m very grateful for the life I have. I’m thankful to be here and to be healthy. I’m lucky to be able to have hope that I may still have another 30 or 40 years to my life-span. I’m proud to try to be a strong patient voice and to show that diabetes doesn’t have to stop you. 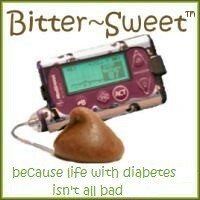 But honestly, lately I’ve been feeling so tired of walking the diabetes road for more than three decades. I’ve been angry at the time and energy and emotions it demands. I’ve been fed up with diabetes. I know this will pass. I know I’ll get back to a better place emotionally. I suppose after 33 years, maybe it’s okay to rage just a bit? Because after all, I shouldn’t be here. But when all is said and done, I’m so glad that I am. Way Too Organized . . . . . Being organized is a great thing, but I often think there can be such a thing as being too organized - and I’m pretty sure that describes me. I tend to drive myself (AND OTHERS) crazy by being so regimented and needing things to be “just so”. At a Halloween dinner we hosted this year my friends teased me to no end when I got up in the middle of dinner because I needed to adjust a knick-knack in my bookcase by 1/2 an inch. I’ve often been compared to both Monica on Friends and Monk. (I could totally see me neatening up the doctor's office!!) And maybe I scrub my soap dish on a regular basis. Yeah, well, whatever . . . Being organized within an inch of my life helps a lot when it comes to diabetes though. And that’s the topic of my latest post over at The Loop, Diabetes Organization for the Organized. Do you tend to be organized, or do you just wing it? Any tips to share? With the end of Diabetes Awareness Month last week came the end of National Diabetes Awareness Month Photo a Day, and my last two pictures. I really enjoyed taking the pictures of the topics each day and I definitely think it was a great way to raise awareness. I hope we can do it again next year. 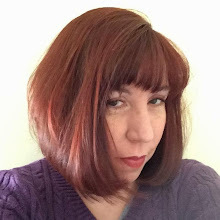 I got to know Kate of Sweet Success during the second Diabetes Blog Week. I felt like we hit it off right from the start and she was one of my Find a Friends during this year’s DBlog Week. Even thought we were “just on-line friends”, I’ve always felt very close to Kate. It makes me so so happy when I have the opportunity to meet an on-line friend in person, and Kate has been high on my list of people I still really needed to meet. I’m in Connecticut and she’s in Arizona, but I always believed we would somehow meet some day and I always told Kate it would happen. So when she told me she was coming to Connecticut to participate in a panel, I didn’t think twice about letting her know I would drive up to meet her. We worked out our plans and on Thursday I drove up to her hotel so we could have dinner! Yay, me and Kate in her hotel lobby!! I knew I’d be writing a post about the wonderful time we had. I thought it would be all about how the on-line friendships we are making in the DOC are real friendships that transcend the boundaries and borders of the internet. But, of course, that’s been said so many times by so many others (and probably by me as well), so it’s hardly news to anyone. And then I read Kate’s post about our meet-up, and as I sat there with tears in my eyes I knew exactly what I wanted to write about. Kate talked about how although Type 1 and Type 2 are both diabetes, with so many of the same issues and treatments, they are also very different in some ways. I agree and spending time with Kate gave me an even better understanding of this fact. But do you know what? I was shaking my head in bewilderment when Kate wrote that she felt like I have a lot more to do to handle T1 than she does for T2. Because honestly, as we talked Thursday night I couldn’t help but feel how much easier I have things than Kate does. She told me about her long flight the day before, which happened AFTER a three hour drive to the airport. And how when she finally arrived at her hotel she was greeted with a high blood sugar. So what did she do? She did what she had to - she went down to the fitness center and walked on the treadmill. I was so impressed - understanding how exhausted she must have been and knowing that when faced with the same situation I would just press the buttons on my pump for a correction bolus and go to sleep. At dinner we both chose some tasty salads. I used my phone to look up the carb count for my salad and was taken aback to find it supposedly had 51 grams. No croutons, no starchy vegetables besides a few carrot shreds, no bread sticks served with it - restaurant dressing aside 51 grams still seemed high to me. I casually told Kate I’d under bolus quite a bit since I had an hour’s drive home alone and didn’t want to go low. I said I’d rather end up higher for my drive than lower, and if needed I’d correct back down when I got home. What I didn’t tell Kate was that I was secretly wondering how many carbs were in her salad, and what it would do to her blood sugar. I felt guilty that I could correct a high down fairly easily, while she might have to force herself into another late night workout. Who had it harder that night? In my opinion, Kate did, hands down!! Type 1 and Type 2 are both diabetes. It’s not a contest as to who has it easy - nobody does, T1 and T2 are both hard. We walk similar paths and deal with similar issues. But I agree with Kate when she said comparing us is like comparing apples to oranges. Yes, I’m taking over 100% for my pancreas, while Kate is an executive assistant for hers. She can’t imagine testing 4 times in as many hours like I did on Thursday (although I usually don’t test THAT often, there were a bunch of extenuating factors in play). I can’t imagine trying to manage on one test strip a day and using diet and exercise as my main treatment options. Perhaps the grass is always greener on the other side? Frankly, I don’t think so. I think the grass is pretty well-worn on both sides of the diabetes fence. Kate, thank you so much for the lovely post you wrote and the lovely visit we shared. Thank you so much for the kind words about what I and other T1s do to stay healthy. And to you and everyone living with Type 2 - I salute you. I understand a little better the road you walk and the work you do and the struggles you face. You are all inspiring to me and I admire all of the hard work YOU do to stay healthy.